As the Principal/Licensee of the One Agency Menai office, Adam has forged an unrivalled reputation selling beachside and premium properties within the Sutherland Shire and St George areas. 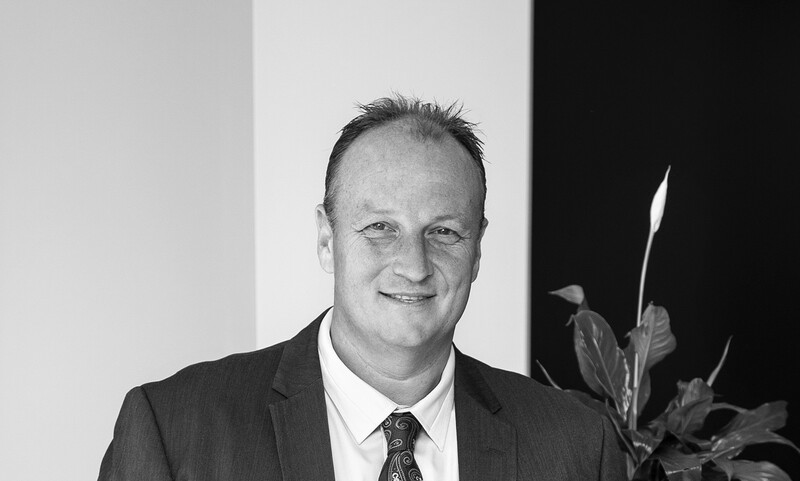 As well as being a licensed agent and auctioneer, Adam is a member of the NSW Real Estate Institute and has over 26 years experience behind him. He attributes much of his success to his attention to detail, his professionalism and his absolute dedication to achieving the best possible results for his clients. His outstanding results speak for themselves, but Adam firmly believes that his ability to instil trust and confidence in his clients plays an essential role in the strong relationships he builds with them. He approaches each client and property with the same level of energy and enthusiasm and his affinity with The Shire and St George regions and its residents ensures that he understands the appeal of the area and its unique selling points. For Adam, the decision to move to One Agency was an easy one. "The warm, family-like culture fits well with the close-knit culture of our team and will suit the friendly and welcoming vibe of the locals. I think it's going to be great fit". "Knowledgeable, Creative, Detail-Orientated" - Vendor Testimonial. We wanted to take this opportunity to express our appreciation for the great job you and your awesome team did representing us in selling our home and getting the deal done. You were both, knowledgeable, creative, detail-oriented and professional from the beginning to the end. We would recommend anyone looking to sell their home to look no further than Adam Wylie and Lene Mitchell at One Agency Menai! We fully believe without you we would not have sold our home so quickly. Thank you for everything you have done, we are extremely grateful. "Excellent Service - Excellent Result - Vendor Testimonial. A big thank you to Adam and Lene for selling my family home. The whole process was made very easy from start to finish. Both agents have a large knowledge of the local area, were very professional and a pleasure to work with. I would highly recommend Adam and Lene and the team at One Agency. "Look No Further for a Realestate Agent" - Vendor Review. Very daunting to have to choose a Real Estate Agent that will do their best for you but we found one! Both Adam and Natalie were second to none. Everything they said they would do, was done and done well. From start to finish the whole selling experience was hassle free. Thank you Adam and Natalie we highly recommend you to anyone looking to sell their property. "Trustworthy Agent" - Vendor Review. With our past experience of selling properties we found Adam and his team to be reliable and supportive throughout the sale of our home. We feel we could rely on their information and recommendations and they were always available to answer questions, provide information and even just be supportive when we needed it during the process. This made our experience of selling this home much more pleasant and less stressful than previous property sales. We achieved a good price in view of the market decline and Natalie Del-Grande was exceptional during the auction. "Honesty, Integrity and Dedication" - Purchaser Review. The process of buying a house is rarely a straightforward experience with all the complexities involved. We found Adam to be very open, honest and easy to talk to from the first open house. Honesty and integrity are critical for an agent in these modern times and Adam delivered 100% on these qualities. He is a dedicated and experienced agent who has a great team at One Agency Menai. All of this made the experience so special in buying a beautiful home for our future. Adam's skill and professionalism helped to make our dream home a reality. We recommend Adam Wylie and the great team at One Agency for their commitment, quality and specialised service. "An Agent I Would Recommend" - Vendor Review. From day one, Adam and the One Agency team were very committed to getting the best outcome for us and achieved a good sale price in line with our expectations. Adam always made himself available to answer my questions and provide regular updates on how the marketing campaign was going. "One Agency Menai" - Vendor Review. The experience and professionalism of One Agency Menai was prevalent and consistent throughout the sale processes of our home. All agents from the Menai branch were considerate to both the buyer and seller, offering their unequivocal support when communicating with interested parties and answering sensitive questions. Particular notice must be granted to Natalie and Adam, who used their years of experience to explain unfamiliar subjects without hesitation at any time. Agent Amber’s work was also noticed with the design and preparation of rooms during the day of photos and open days. We thank One Agency Menai for being with us during what can be a stressful time; their work has surely made the experience a pleasure. "Fantastic Sale" - Vendor Review. We were finally selling our property at Bangor after living there for 20 years. Apart from the sentimental value we also had invested recently a lot of time and effort into renovating. Adam and the girls at One Agency were brilliant from start to finish. Professional, knowledgeable, always communicating, and the fantastic video and photos all helped to make this an extremely smooth and exciting experience. I would highly recommend the staff at One Agency Menai. "Professionalism" - Purchaser Review. Always ready to help. Great support from the start to the end of buying process. Great agent. Great Agency! "Fantastic Agent" - Vendor Review. Very caring and approachable agent. “Great Agent” – Vendor Review. I have previously sold a property with Adam and found him to be very professional, knowledgeable and kept us informed regularly. Adam is also very honest and down to earth leaving us with a very positive comfortable feeling. This is why we chose Adam and his team to sell our most recent property which generated a sale price that met and went above our expectations. We would have Adam sell any of our properties in the future. “Don’t look anywhere else! Adam is all you need and more in an agent”-Vendor Review. “Very friendly & knowledgeable” - Purchaser Review. Adam and his team were great and very supportive throughout the process. They are very honest & friendly. Highly recommended! “Would highly recommend Adam Wylie to anyone selling” – Vendor Review. Adam sought best possible price and it was very clear he was working for me - the seller and not the prospective buyer. “Very happy. Highly recommended” - Vendor Review.Thank you so much to Adam and his team at One Agency Menai for helping us sell our townhouse. Was a very stressful process for us but they were all amazing and so efficient and made everything much easier. We will definitely use them again and will highly recommend Adam!! “Highly recommended” – Vendor Review. Adam was very courteous, friendly and knowledgeable in the real estate market. He communicated very well and kept the family up-to-date in the process of selling the old family home. We had a very successful result. “One Agency Menai” - Vendor Review. Adam is great!!! Very easy to deal with and he has sold our house and bought another one through him so easy thanks’ Adam. “Friendly & Professional Agent” – Vendor Review. Very very happy with One Agency overall. The team was highly professional, friendly and nothing was a bother. They made the selling of our house stress free and achieved an outstanding price for us. Would highly recommend Adam, Lydia and the team at One Agency Menai. “Excellent Experience” – Purchaser Review. From the start to the end of the process Adam was knowledgeable and supportive throughout our first home purchase. I would highly recommend him to anyone looking to either buy or sell their home. “Another satisfied customer” – Vendor Review. Thoroughly pleased with the great result by Adam and his team!! Throughout the campaign we had a few stressful things happen and Adam was a great calming influence. He communicated openly and honestly, and never oversold. As a testament to his approach, the person who purchased our property told me that he would be contacting Adam to assist him with one of his other properties! “Rare to find” – Purchaser Review. Adam was extremely easy to deal with. Very professional, but felt like we had been friends for years. I would definitely recommend Adam. “Fantastic agent” – Vendor Review. We would highly recommend Adam and One Agency to anyone wishing to sell or buy a home. We are very happy with the price Adam achieved and his professionalism was welcomed. Thanks for a fabulous result! “Results 57 Cambrai Avenue, Engadine” – Vendor Review. Dear Adam and Daniel, How do I say thank you for all your help promoting and successfully auctioning no. 57. Your expertise and knowledge is amazing for not only attracting so many people to the auction, having presented my property in such a positive way we had 10 bidders, also holding me up each time I faltered. What a task I set you! Anyone I hear thinking of selling their property I will definitely promote ONE AGENCY, You both have a very friendly approach and you put me at ease throughout the whole process. Again a big thank you for reaching the impossible, treating me with respect. What a result, then you took on my parent’s home at Concord where you exceeded all expectations with a $215,000.00 over reserve auction. “Working with One Agency” - Vendor Review. Working with Adam and his team was a pleasure answered all my questions guided me through the sale no stress will use them again cheers Ainsley.